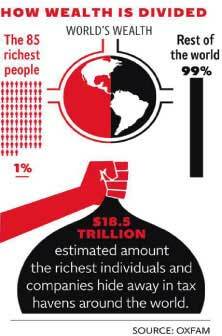 According to an Oxfam report, almost half the world’s wealth – $110 trillion – is owned by just 1 per cent of its population. The 85 richest people on the planet have as much wealth as that of half the world’s population, a meeting of political and financial leaders in Davos has been told. According to an Oxfam report, almost half the world’s wealth – $110 trillion – is owned by less than one per cent of its population. 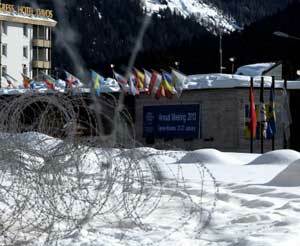 Development issues find little place in Davos. Credit: Ray Smith/IPS. DAVOS, Switzerland, Jan 22 2014 (IPS) – With no acute crisis on the radar, this year’s Annual Meeting of the World Economic Forum (WEF) will move away from the response mode of the past years and “look for solutions for the really fundamental issues,” its founder Klaus Schwab said at the pre-meeting press conference. NAIROBI, Jan 24 2014 (IPS) – Kenyan government security forces are forcefully evicting thousands of people, including the indigenous Sengwer tribe, from the Embobut forest in western Kenya by burning homes and possessions in an effort to promote forest conservation, safeguard urban water access and “remove squatters”. 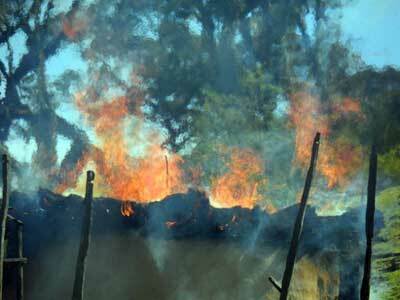 “The Kenya Forest Guard is burning homes and belongings in the Embobut forest area. They are threatening [people] with AK-47 guns. Gunfire has caused chaos as families run to hide in the mountain forest,” Yator Kiptum, a member of the Sengwer community, told IPS. Nearly every year, members of Congress attempt to end the refundable Child Tax Credit (CTC) for workers who pay their taxes using an Individual Tax Identification Number (ITIN) instead of a Social Security number (SSN). This cut would affect workers who are ineligible for an SSN and therefore pay taxes to the federal government using the only means legally permitted—the ITIN. The CTC, as well as the refundable portion (the Additional Child Tax Credit, or ACTC) were enacted to help struggling families financially care for their children. The CTC has proven successful in preventing millions of children from sinking further into poverty. 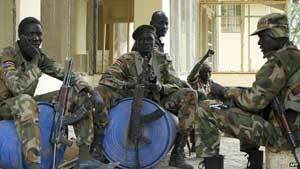 South Sudan’s government and rebels have signed a ceasefire agreement after talks in Ethiopia. Under the deal, signed in a hotel in the Ethiopian capital Addis Ababa, the fighting is due to come to an end within 24 hours. In the past week, government forces have recaptured the two main cities under rebel control. More than 500,000 people have been forced from their homes during the month-long conflict. What started out as a political dispute between President Salva Kiir and his former deputy Riek Machar on 15 December escalated into full-scale conflict, with reports of ethnic killings. Pope Francis has sent a message to participants at the World Economic Forum which opened in the Swiss resort city of Davos last night. Catholic Church leaders are among those taking part in the four day meeting, which is focused on the theme ‘The Reshaping of the World: Consequences for Society, Politics and Business’. In the message, Pope Francis said it is important to praise the steps being taken improve people’s welfare in areas of health care, education and communications and to recognize the fundamental role that modern business activity plays in bringing about these changes. Nonetheless, he says, the successes which have been achieved have often led to widespread social exclusion and too many men and women still experience the dramatic consequences of daily insecurity.